I’ve done all my shopping and only have a few pre-Christmas chores to do before I can relax……..well almost, maybe total relaxation will arrive after the dinner is cooked tomorrow! When your chores are done, pull up a chair, get yourself a glass of something good (with or without alcohol), have a few nibbles in a dish handy for when you feel peckish and ….put your feet up. Did I forget something? Ah, yes – grab your crochet hook and a basket of yarn because I’d love you to join me in this Christmas CAL. It should be an easy relaxing project, perfectly manageable for this season. The lap blanket I am making will be 7 motifs square – a total of 49 motifs. The blanket will be about 1m/42in square without border, because I haven’t designed a border yet, and I may have to find some more yarn for that! I am using Stylecraft Cotton Classique DK yarn, 100g/184m per ball. I estimate I’ll need about 10 balls. The motifs are square and each motif is approx. 15cm/6in square. I am using 5 colours, and each motif is one colour. 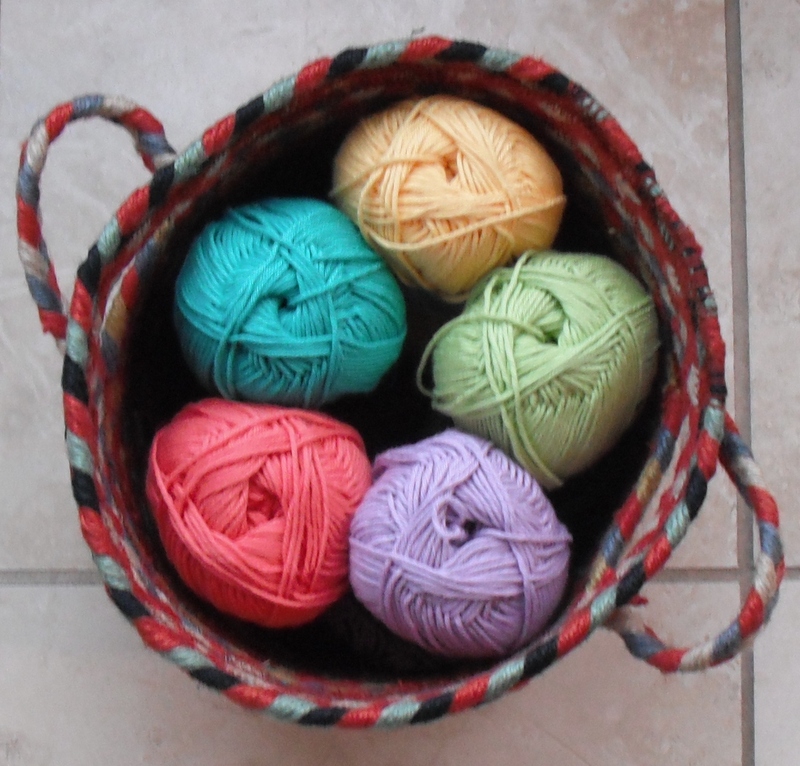 But you could use as many colours as you like and change colour each round if you like. 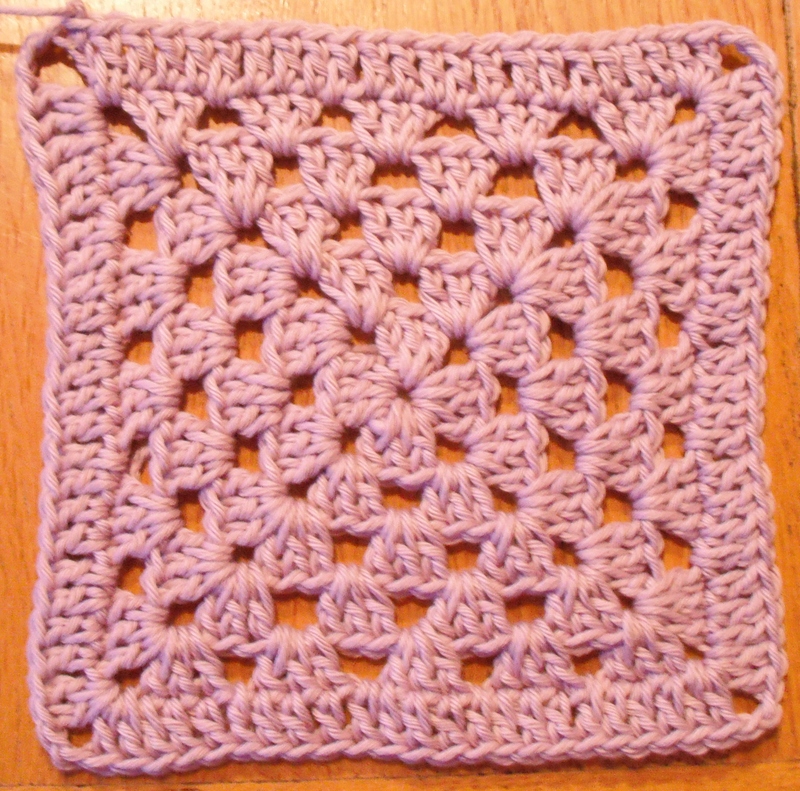 The first motif is based on the standard granny square, so you should be able to tackle this easily. Round 5: ss into 2ch-sp, 5ch (counts as 1tr, 2ch), (3tr, 1ch) into the same 2ch-sp, *(3tr, 1ch) into each of the next three 1ch-sps, (3tr, 2ch, 3tr, 1ch) into the next 2ch-sp; repeat from * another 2 times (3tr, 1ch) into each of the next three 1ch-sps, 2tr into the 1st 2ch-sp, join to 3rd st of starting 5ch with a ss. Round 6: ss into 2ch-sp, 5ch (counts as 1tr, 2ch), 2tr into the same 2ch-sp, 1tr into each tr and 1ch-sp along each side and (2tr, 2ch, 2tr) into each 2ch-sp on the corners, finish with 1tr in the first 2ch-sp and join to 3rd ch from start with a ss. You should have 23tr along each side and 2ch in each corner of your motif. I have a discussion thread on my Ravelry Group here. Please join in and share your progress or, if you prefer, add comments on this blog. Stay tuned for the next motif pattern, which I aim to publish on Friday…..or is that too soon?